El mejor hostal en San Pedro, con gente amable! Mi experiencia en backpackers fue estupenda. 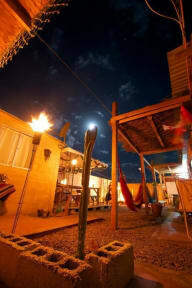 El personal del hostel es muy amable, siempre dispuestos a explicar cosas y dar tips sobre San pedro de atacama. Sin duda una experiencia recomendable que repetiría. Excelente lugar, fue mi mejor experiencia con hostales en San Pedro. Es cómodo, limpio y seguro. Un ambiente bastante agradable. El personal muy amable y siempre dispuestos a ayudarte. We only stayed for one night, but our room was clean and comfortable - we didn’t have the most privacy for a private room (right next to a common area) however the garden area and bar were nice to have a drink in before heading into town. It’s about a 5-10 min walk from San Pedro’s main street so the location is great. 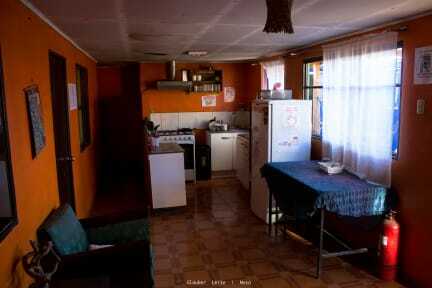 Decent enough facilities with 2 kitchens, a pool, a bar. Beds are pretty comfy but really hot - could really do with a fan. Security is abysmal; the front door doesn’t get locked, dorms aren’t locked, and there is often nobody at reception so anyone could walk in. Decent size lockers, however. For the price, with no breakfast, it’s not great value for money, but it’s a fun hostel. the hostel is nice with a big outdoor area to relax but the rooms are small and the beds not really stabile. the personal is helpful and flexible as well as it is easy to meet other travellers. However I‘m not sure I would stay here again for more than 2 nights.